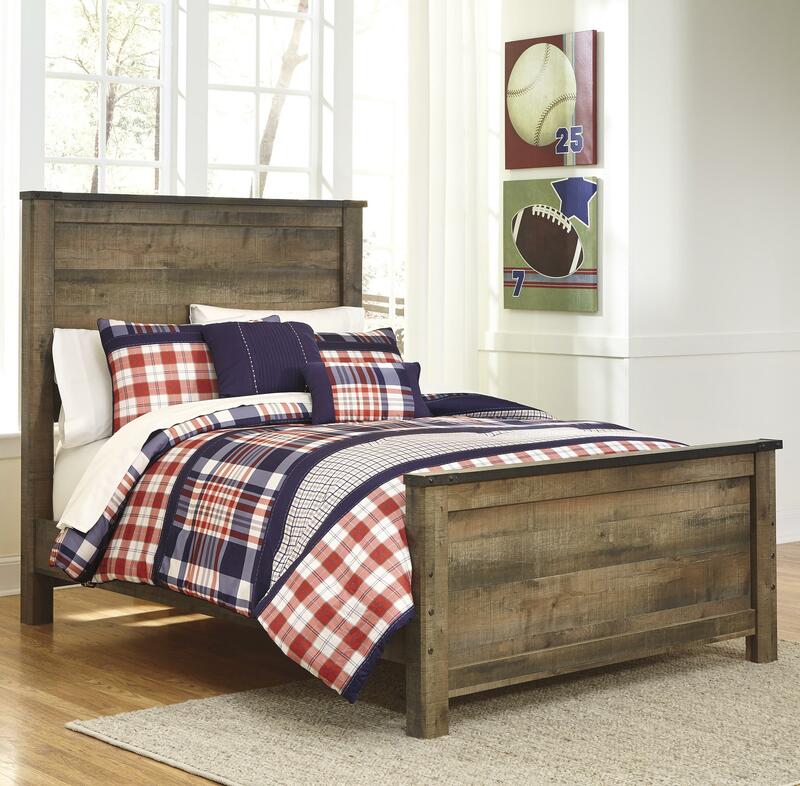 Replicated oak grain takes the look of rustic reclaimed wood on this panel bed. 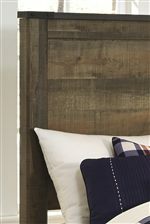 The metal brackets at the corners of the headboard and footboard even feature a rivet look for an industrial design detail. 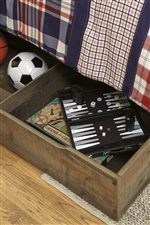 For a boy's bedroom or a girl's bedroom, this bed has great modern farmhouse character for any space. 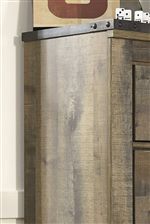 The Trinell Rustic Look Full Panel Bed by Signature Design by Ashley at Sam Levitz Furniture in the Tucson, Oro Valley, Marana, Vail, and Green Valley, AZ area. Product availability may vary. Contact us for the most current availability on this product. The Trinell collection is a great option if you are looking for Rustic Casual furniture in the Tucson, Oro Valley, Marana, Vail, and Green Valley, AZ area. Browse other items in the Trinell collection from Sam Levitz Furniture in the Tucson, Oro Valley, Marana, Vail, and Green Valley, AZ area.